A Plainfield High School teacher was arrested on January 24 and charged with 2nd Sexual Assault and 4th Degree Child Abuse, announced Union County Prosecutor Theodore J. Romankow and Plainfield Police Division Director Martin Hellwig. 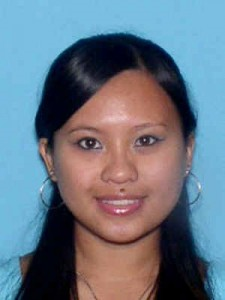 The teacher, Jennalin M. Garcia-Calle, DOB: 7/5/1984 of Piscataway, NJ was charged on January 22, 2013 following an investigation that revealed she engaged in a criminal sexual relationship with student at the school. The investigation revealed that the teacher began the relationship with the student in December 2012. Authorities were notified after the victim told a family member about the relationship. Garcia-Calle was arrested in Davie, Florida by members of the US Marshal Service. She is being held in the Broward County Jail in Florida on $200,000 and she is expected to extradited to New Jersey in the coming days. Upon learning of the charges the Plainfield Board of Education placed Garcia-Calle on an administrative suspension pending the outcome of the criminal investigation. This remains an active investigation by the Prosecutor’s Office and Plainfield Police Division. Anyone with information is urged to contact Det. Patricia Gusmano at (908) 527-4589.